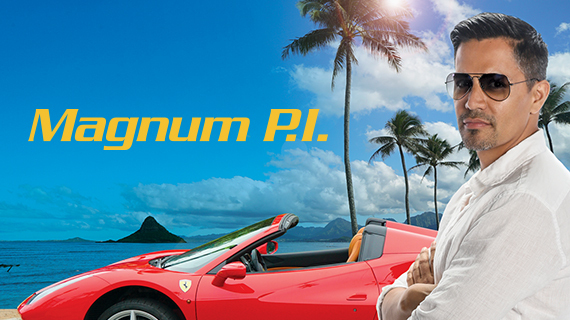 New Show Introduction: Magnum P.I. The remake of Magnum P.I. will debut on CBS at 9 PM on September 24. Jay Hernandez (Scandal and The Expanse) stars as Thomas Magnum, a decorated former Navy SEAL who, upon returning home from Afghanistan, repurposes his military skills to become a private investigator. A charming rogue, an American hero and a die-hard Detroit Tigers fan, Magnum has Juliet Higgins (Perdita Weeks from Ready Player One and Penny Dreadful) and her Dobermans to keep him in line, as well as his trusted buddies and fellow POW survivors TC (Stephen Hill from Boardwalk Empire and Luke Cage) and Rick (Zachary Knighton from Happy Endings) when he needs back-up on a job.